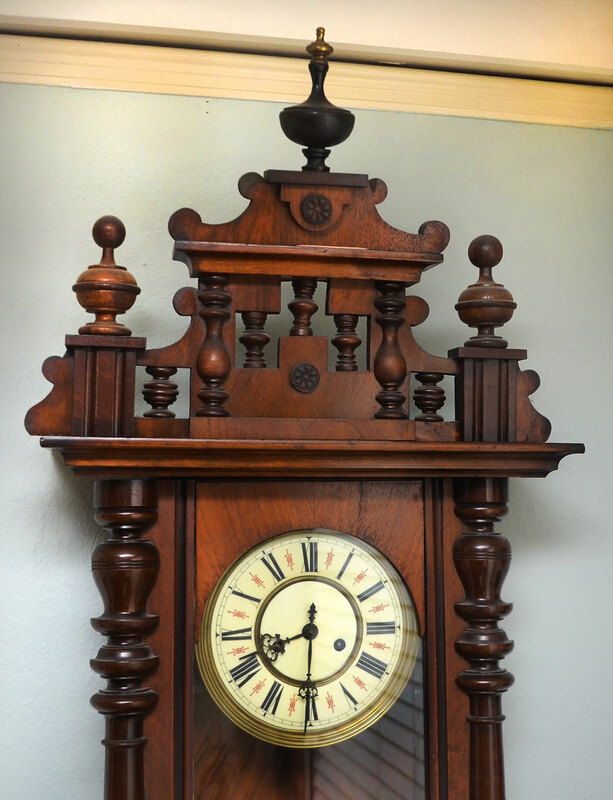 GUSTAV BECKER CARVED GERMAN WALL CLOCK: Removable carved crest with applied decoration, urn finials, walnut case, turned half columns on door, lower finials. Porcelain dial with Arabic numerals, Marked Gustav Becker time and strike movement. Overall measures 52 1/2'' h. x 18 1/4'' x 7 3/4''. CONDITION: Brass finial cap loose, missing one lower finial, currently running however not guaranteed to continue or keep accurate time. Key in office.